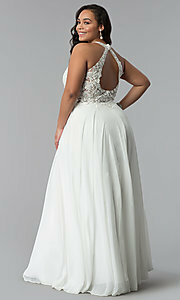 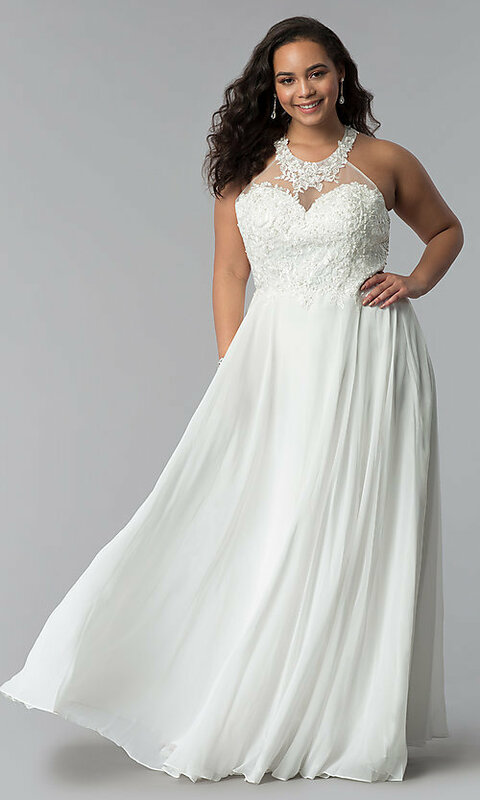 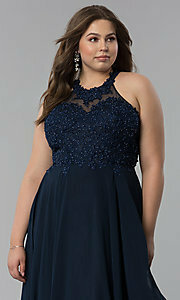 Here's a plus-size chiffon prom dress that features beautifully embroidered floral-lace applique. 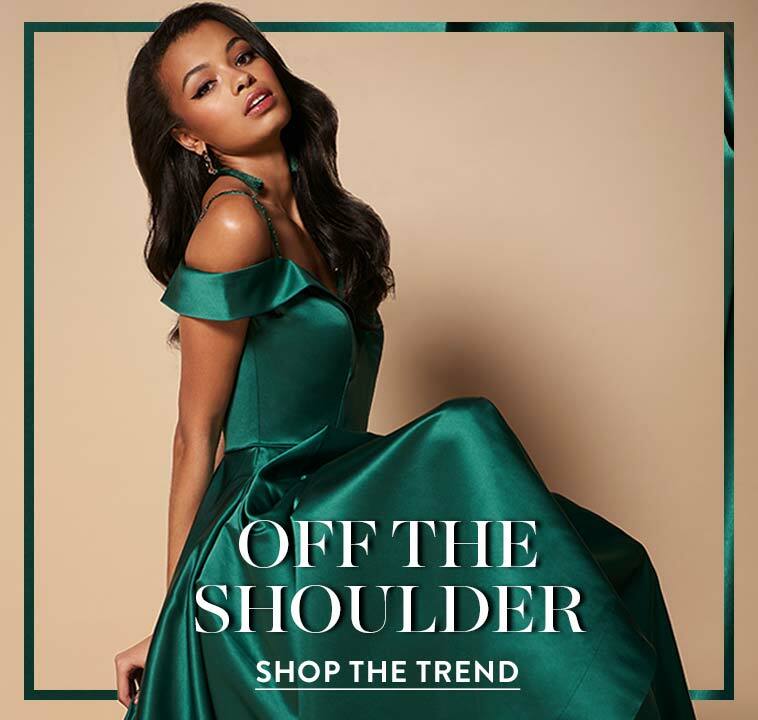 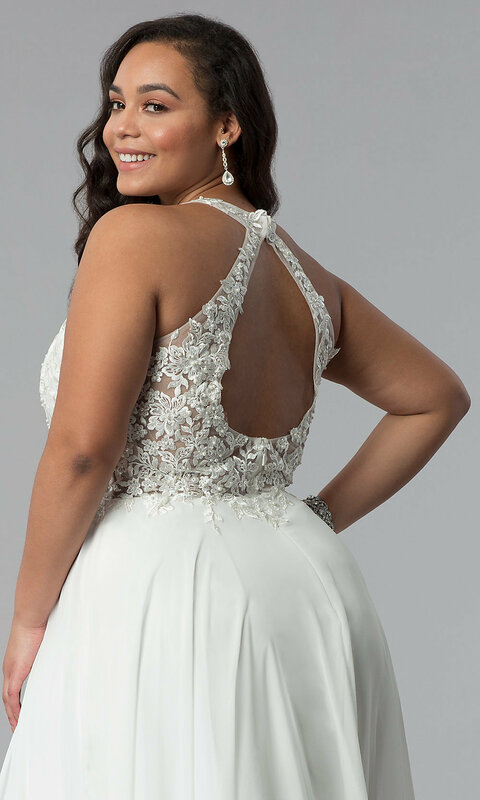 The applique highlights the sweetheart lining, adorns the high neckline, and frames the teardrop cut out of the open-back before cascading past the waistline. Adding another level of wow to this gorgeous plus prom dress, pearlized beading adorns the lace bodice. Layered and flowing, the a-line chiffon skirt billows with movement to the floor-length hem of this long formal evening dress. 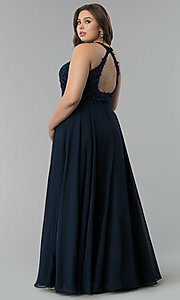 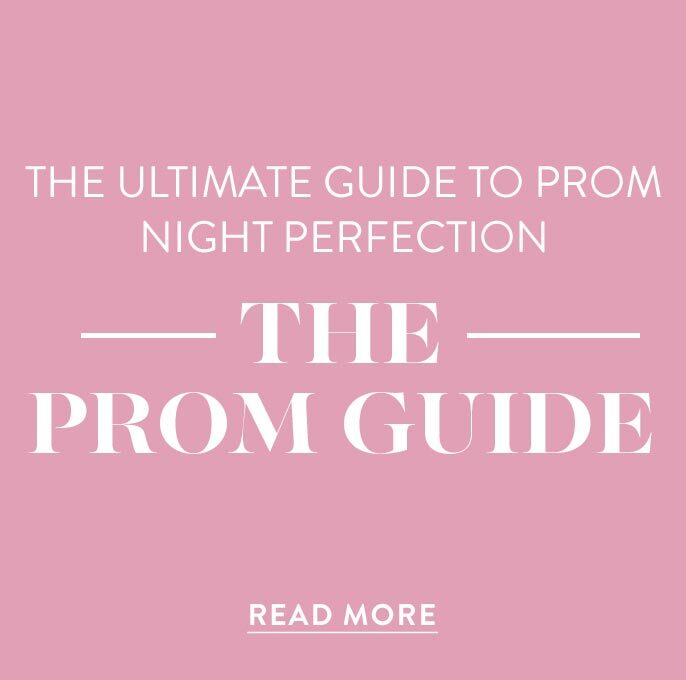 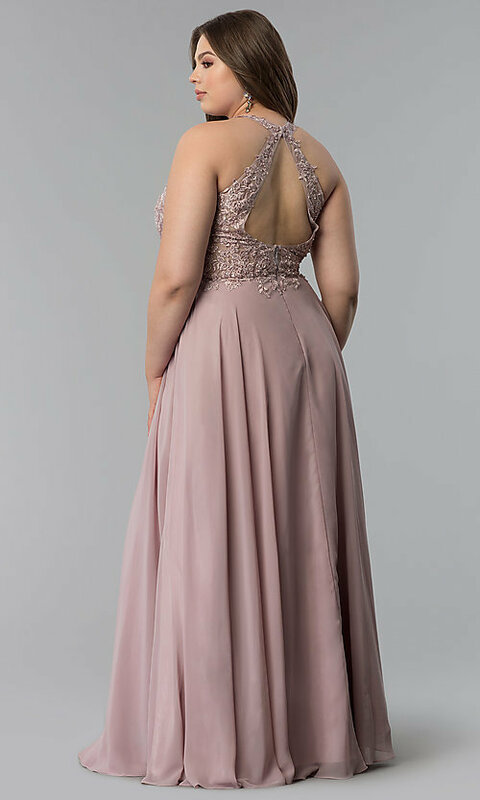 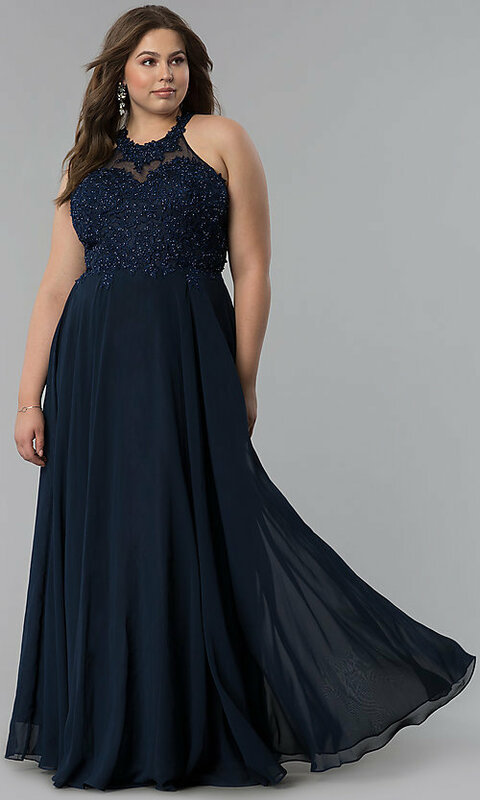 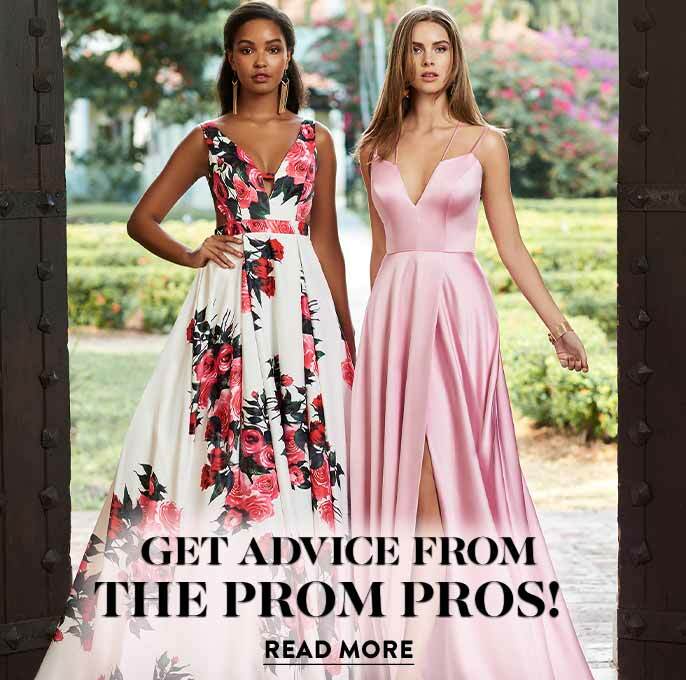 Although destined for prom 2019, this plus-size embroidered-bodice prom dress is also ideal for galas and winter formals.